We proudly present this old school hip hop event coming up next saturday in Kiel-Gaarden. It focuses on the culture, the expression, the dance and the music. There will be a graffiti-session in the courtyard, food and drinks and the possibility to play some streetball. Cyphers will run all day long inside the location. 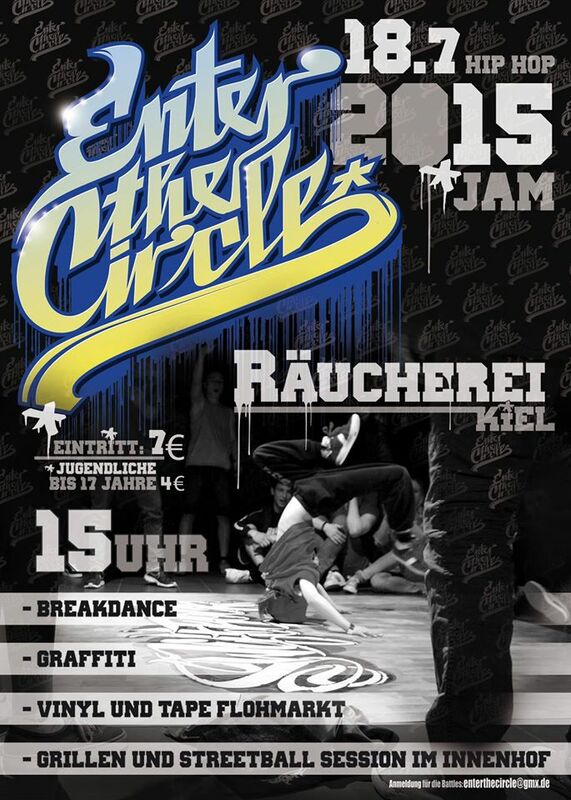 See all you b-boys and girls at our stand on the afternoon at Räucherei – Kiel or later for the after show at Medusahof. Come together in peace, love, unity and have some fun!